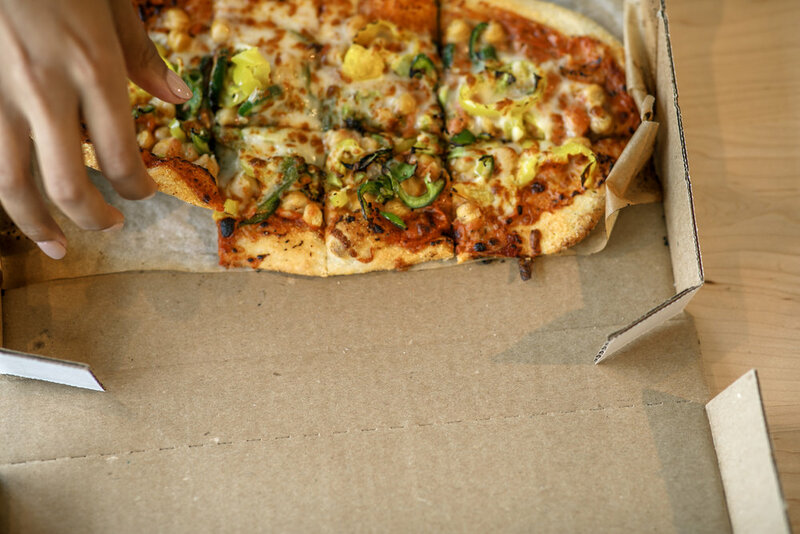 And pizza by pizza, slice by slice, Slim & Husky’s has opened up a piece of the pie- for everyone. Slim and Husky’s is a movement that is greater than the iconic pizza, delicious cinnamon rolls and craft beer. This Nashville eatery represents a community on the rise—it represents a legacy and the explosive growth of the city. As for the impact of Slim & Husky’s in this area—they say it only takes one but, in this case, it took three. Three childhood friends and Tennessee State University graduates, Derrick, Emanuel, and Clint created the catalyst that sparked the Buchanan Street Boom. These three entrepreneurs made an effort to grow in an area of town often overlooked and took responsibility for their own community’s growth and prosperity. And pizza by pizza and slice by slice, Slim & Husky’s has opened up a piece of the pie for everyone. I still remember the first time that I tried the Slim & Husky’s Nothing but a Vthang vegan-friendly pizza. I called my husband and told him that he had to taste and devour the best pizza in the city and possibly in the Southeast. Whenever I find my way “home” to Nashville, I always find a way to make a trip to Slim & Husky’s. Their impact is bigger than pizza. It is about creating opportunity and uplifting a community. It is about instilling in young people that they too, can create magic within their cities despite being overlooked and passed over. After opening up their second location in Antioch (about 20 minutes outside of Nashville proper) they are still serving amazing hand-crafted delicious goodness. One bite of their pizza and one corner of a cinnamon roll will melt in your mouth! If you are ever in Nashville, you will not regret making it your business to visit Slim & Husky’s. When you go, remember who put you on to #Greatness and tell them Dom sent you! Check out this exclusive footage by @thevisuallyrycist to witness the S&L Greatness in action!